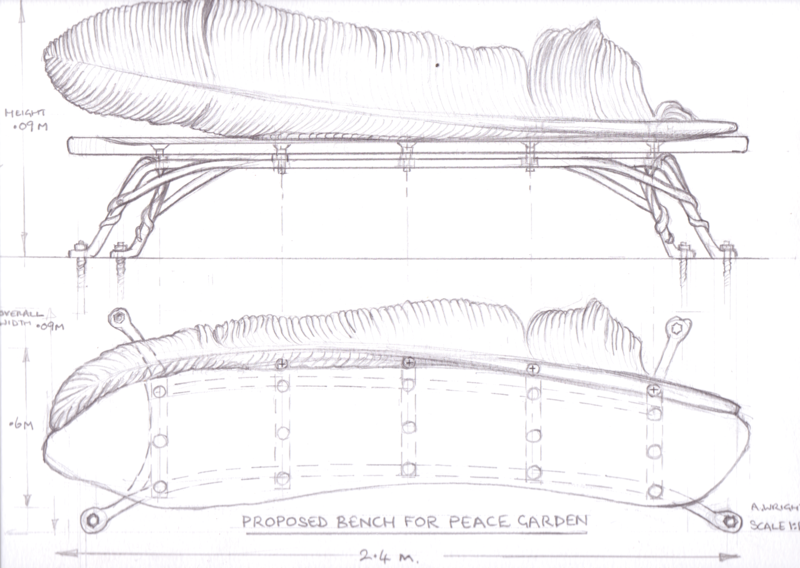 At the heart of Hastings’ Alexandra park is a peace garden where passers by are invited to contemplate the meaning of peace. In a year when we are all remembering the devastation caused by the first World War and impact of current conflicts from Ukraine to Gaza, I’ve been given a very timely commission. 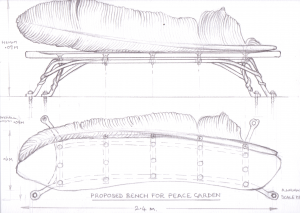 In cooperation with local quaker craftsman Alan Wright, we’ve produced this design of a bench for the Peace Garden which will be installed in September. 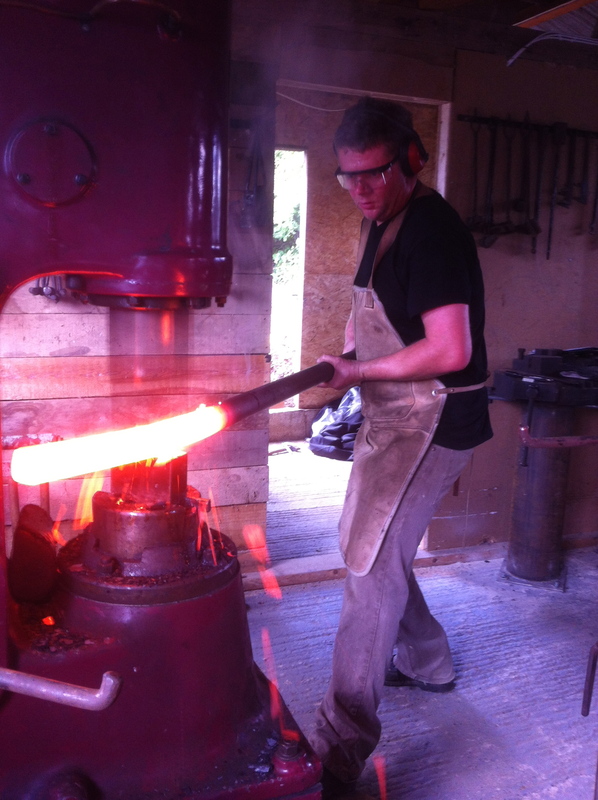 It involves matching a forged and fabricated steel base to a beautiful piece of local chestnut and forging a 3 metre long feather for those visiting the Peace Garden to recline against. Forging out a 3 metre taper from 50mm round steel to form the central spine of the feather.